Untreated high blood pressure can lead to serious complications such as heart attack, stroke, eye disease, and chronic kidney disease. It’s been deemed the silent killer because symptoms often don’t present themselves until conditions are far advanced and serious. There are drugs which can lower blood pressure, but many have side effects. 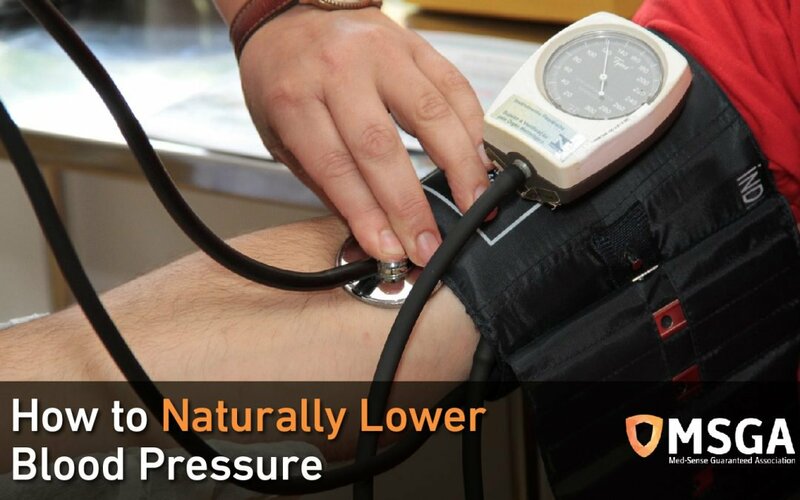 Lowering blood pressure naturally is possible and highly desirable. These are the best ways to do just that. Experts like those at the Mayo Clinic recognize that exercise can lower blood pressure. In fact, they note, high blood pressure and lack of exercise are closely related. Here’s the explanation: Your heart is a pump. Exercise makes it stronger. A stronger heart doesn’t need to work as hard. Therefore the pressure on your arteries is less. The catch is that for exercise to work lowering that blood pressure, you must exercise regularly. And that exercise must be aerobic: it must raise your heart rate for an extended period. But the good news is a ton of exercises fit that bill. They include walking, jogging, swimming, bicycle riding, and many others. Anything that raises the heart rate for 30 minutes four or five times a week is good. Consult your physician, if necessary. Start slowly and work up to avoid injury. Meditation has been shown to have numerous benefits. One of these is stress reduction. And stress reduction generally lowers your blood pressure. There are different types of meditation. One type involves simply silently repeating a mantra over and over. Other meditation practices involve following the flow of the breath in and out, or simple, non-judgmental awareness of self and surroundings. Meditators have been shown to decrease their blood pressure and gain greater control of emotions and bodily functions. Again, regular practice is essential. Speaking of stress reduction, many of us push the envelope of our physical limits by simply overloading ourselves. School and work and family are manipulated like juggling balls, with always more than one thing in the air at a time. Sometimes this is necessary, but in the long run, we pay a price when under constant stress. Actively seek ways to reduce stress by streamlining that schedule. Make some time for yourself. Do something fun! Garden. Go for a walk and watch the sunset. Relax. Enjoy a night out with friends. Lowering stress can lower your blood pressure! Finally, of course, there’s diet. The DASH diet is known to be extremely effective at decreasing blood pressure. Basically, it consists of eating many vegetables, grains, and fruits, avoiding processed and canned foods, and limiting sodium intake, since high sodium intake increases blood pressure. Red meats, desserts, sugar, and high-fat foods are generally forbidden on the diet. Make your health a high priority. If you follow these practices, your blood pressure will doubtless come down, probably dramatically. All take some time and effort. But that effort can save your life! Busy schedules are difficult to control in the short run. But, over the long haul, it’s vital not to put too much pressure on yourself. Remember: Life is meant to be a long and wondrous journey, not a 100-yard dash! Slow down, as they say, and smell those roses!